The Great Southern Stamp Sale: Are any of these stamps famous? So, you know that the Great Southern Stamp Sale is on, and it's full of top quality interesting stamps. But, I hear you cry, are any of them actually famous? Have any of them, oh, let's say, appeared in magazines? Well, yes, I have found one, and there could easily be more. 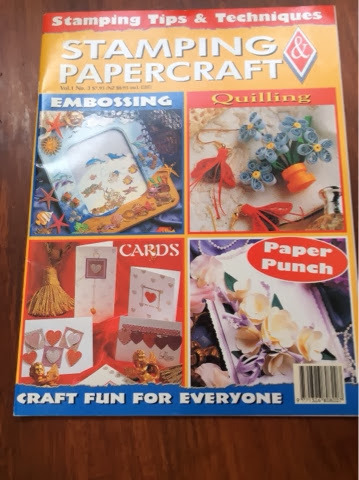 Turns out, this early issue of Stamping and Papercraft had a project by Ellen Eadie. 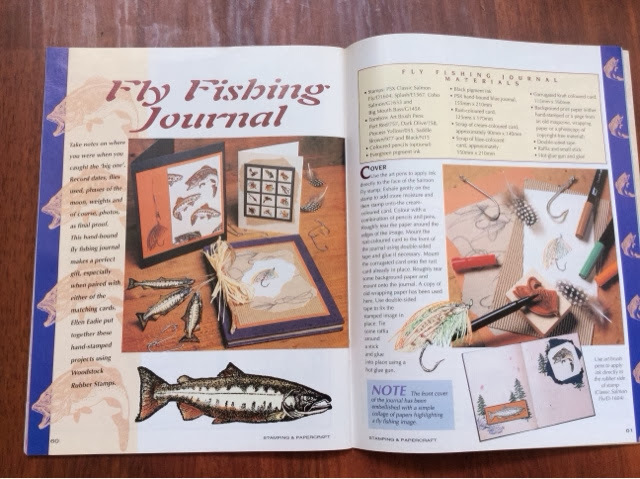 It's a lovely journal cover, on a fishing theme. This looks like it was early in Ellen's career, she didn't even get a byline. 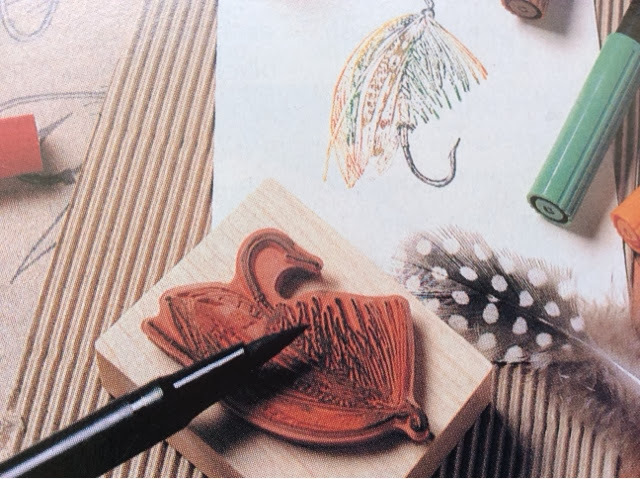 But, the instructions do show how to ink up a stamp with markers, and there's an illustration. This, I am quite sure, is a photo of the very stamp I have for sale.